For those who didn’t know it, first to know is that it’s a mod, which is ideal for beginners in Minecraft, because it allows crafting, without requiring known recipes. 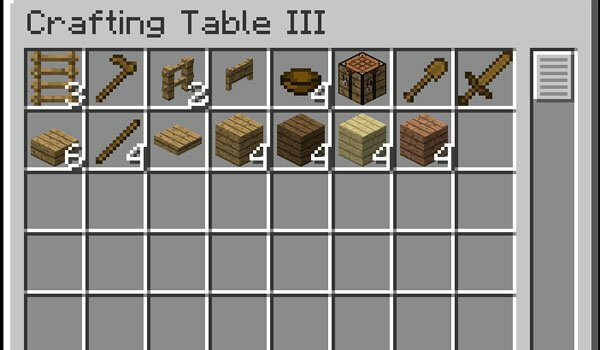 Craftting Table 1.7.10 allows us to create a new crafting table that will tell us what we can create with the materials we have at the moment, in our inventory. So easy and useful for beginners, or for those with less memory. This mod is in Beta, so remember to back minecraft.jar before start with the installation of this mod. How to install Craftting Table IV Mod for Minecraft 1.7.10?